First off, this anime is relatively old. Its only in 480, but don't let that stop you from watching it. I honestly think that if you are younger than twelve or thirteen, you will not like this anime. The comedy appears to come from the action as well as the blatant attempts to turn violence into something rated G. Its a hybrid of animaniacs meets star wars for the battle scenes. You'll understand it if you watch one battle scene. The story though, is surprisingly in depth. I cannot get into the spoilers, but if your looking for a not-so-serious drama, this might be the show to watch. Before getting to the plot review (which I somehow managed to make spoiler free), I'll give the technical review. As to the plot review: You've seen it before, but the strength of this show comes from the interactions of the characters. Not the most original, but the characters make it worth while. Good acting can save a mediocre script, and this show proves it can save a mediocre plot. It should also be noted that the show gets a bit more serious in the second season, though not much. Quirky fun; Recommended, but mediocre. Overall: (3.5/5) I enjoyed it, a lot! A lot more than I should have. Cheesy laughs mixed with semi-serious action, but a slightly confusing plot. This is where the show makes the most out of itself. The direction and script writing made each character there own little story. Even the background chars got a distinct personality instead of the bland BS I'm use to. They all have their quirks but it makes them all the more lovable. (exclusive to the English dub) Every time we see a random character they tend to blurt out some of the funniest one liners I've ever heard. Things like "I need a doughnut" or "activate the bubble-thing!" are dropped into the script every few episodes and make it an enjoyable watch! Final Verdict: (4/5) Quirky fun; Recommended, but mediocre. It was fun. Add it to your Queue and when you feel like watching something a bit more light-hearted give Space Pirate Mito a shot. She'll never leave you with a bad taste! Try not to fall in love with Aoi, though! This anime is a masterpiece. It encapsulates everything anime should be. 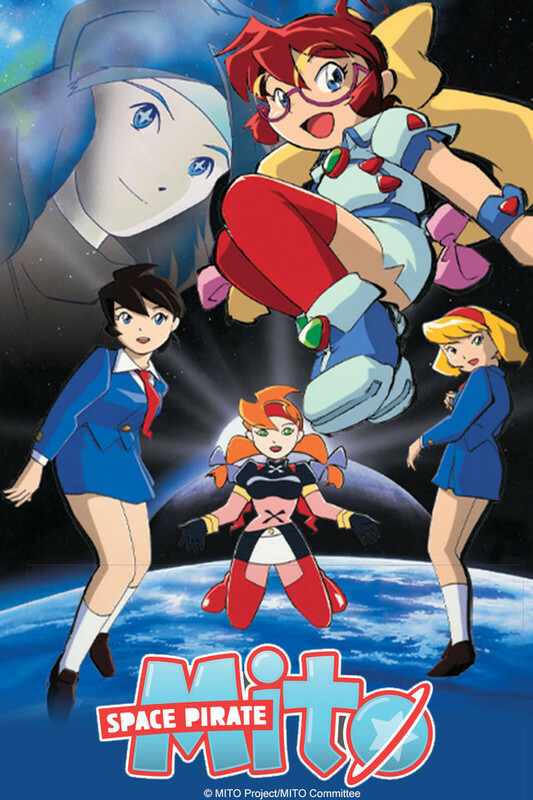 No anime will ever live up to the joy I felt watching this. I would recommend the dub because it is a bad dub in the best way. It's the kind of dub that makes everything 10X better.